After all the information that was sent in to the licensing department with evidence of dog breeding nothing has been done ! The video is heartbreaking to see. He’s calling Tilly by her name and she’s responding but it’s not his dog to sell. Tilly is #stolen I don’t know how much evidence they want. Nobody wants to do anything that’s the issue 🤬🤬, and they won’t give us permission to share the video! Have you been given any reason why they are not persuing the case? With that much evidence there should be no problem. He’ll just keep doing it otherwise. Could you make a complaint? Good question, absolutely no reason whatsoever! She was stolen from Sussex so Surrey Police don’t want to know . People don’t realise that it’s like having a child or family member abducted. Dog theft is incredibly distressing and traumatic. There must be some deterrent in clear cut cases like this, when there is ample evidence. 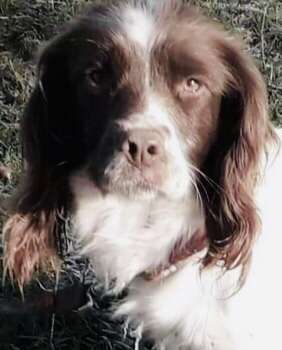 TILLY, Female English Springer Spaniel Liver And White (Age: Adult). Stolen from West Sussex on 7th September2018.